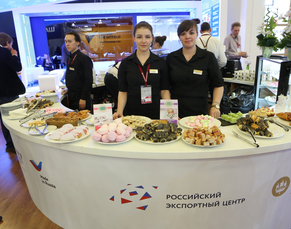 Belyov Pastila made of only thee components: baked in wood stove apples, egg whites and sugar. Belyov fruit marmalade differs from industrial analogues: it has a more dense consistency, pronounced natural taste of berry or fruit juice (juice is the basis of dessert). Manufacture creates marmalade exclusively by hand, in small lots, adhering to traditional recipes and production technology. 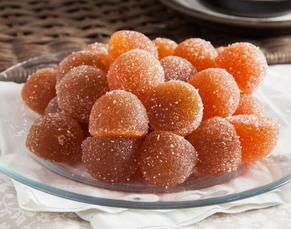 That's why Belyov marmalade is so delicious and aromatic, so delicate and melting in your mouth! 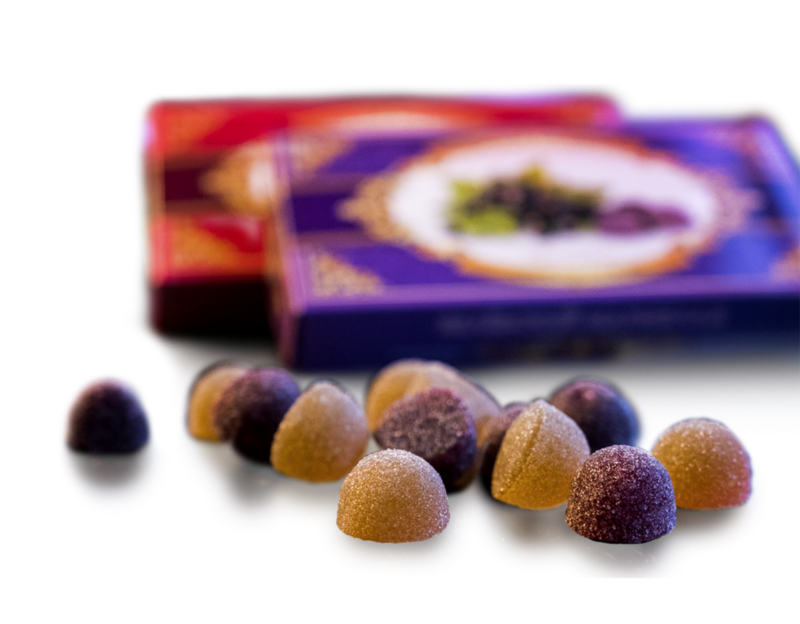 Black currant marmalade, cranberry marmalade, fruit jelly with apple - in their compositions there are no dyes and no taste enhancer. Zephyr is an exquisite sweetness for refined individuals. 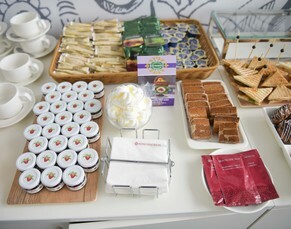 Belyov marshmallow – цшер raspberries, cranberry, apple - will please even the biggest sweet tooth. 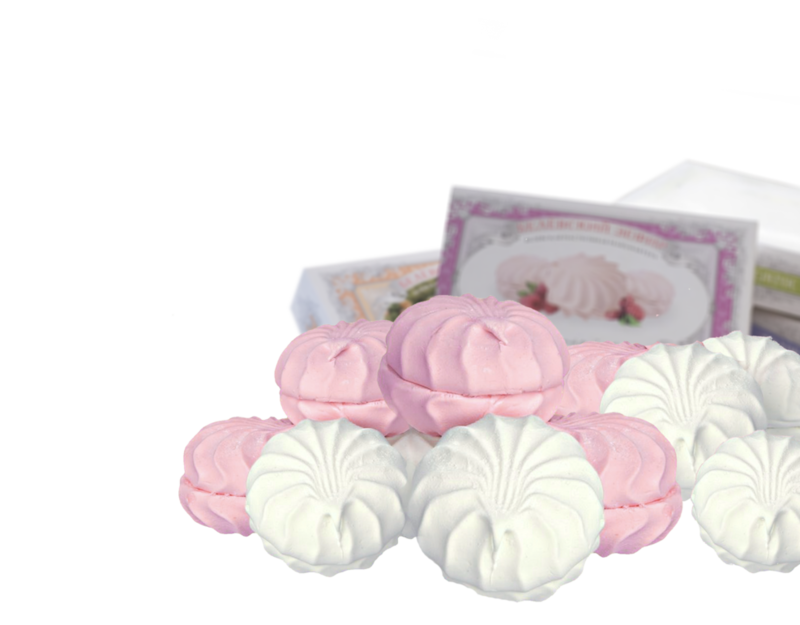 You can buy such marshmallows not only in Moscow: it is represented in the largest shops of Tula, Krasnodar and many other cities and countries. 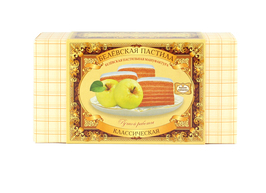 The Belyov pastila is created exclusively by hand from juicy "Antonovka" apples according to the unchanged unique technology. Till today the masters make the Belyov pastila in a Russian wood stove, which was built in the XIX century. Melting apple puree, egg white and berries, nuts or cinnamon - only natural ingredients in combination with a time-proved recipe can create an authentic taste of the Belyov pastila. 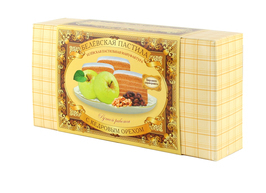 The Belyov pastila is created exclusively by hand from juicy "Antonovka" apples according to the unchanged unique technology. Components: grinded baked apples, cedar nuts, sugar, egg whites. Nutrition value for 100g of product: carbohydrates – 81g, proteins – 1,1g, fat – 0,04g. Components: grinded baked apples, red bilberries, egg whites. Components: grinded baked apples, cherries, egg whites. Ingredients: chocolate glaze (sugar, grated cocoa, cocoa powder, cocoa butter, milk fat, emulsifier - lecithin soy, Vanilla fragrance), apple puree, glucose syrup, jellifying agent - pectin, dry egg protein, acidity regulators: lactic acid, sodium lactate, Vanilla fragrance. Ingredients: chocolate glaze (sugar, grated cocoa, cocoa powder, cocoa butter, milk fat, emulsifier - lecithin soy, Vanilla fragrance), apple puree, glucose syrup, jellifying agent - pectin, dry egg protein, acidity regulators: lactic acid, sodium lactate, apple essence. Ingredients: chocolate glaze (sugar, grated cocoa, cocoa powder, cocoa butter, milk fat, emulsifier - lecithin soy, Vanilla fragrance), apple puree, glucose syrup, jellifying agent - pectin, dry egg protein, acidity regulators: lactic acid, sodium lactate, soluble coffee. Components: grinded baked apples, sugar, egg whites. Nutrition value for 100g of product: carbohydrates – 89,2g, proteins – 1g. Components: grinded baked apples, cranberries, sugar, egg whites. Nutrition value for 100g of product: carbohydrates – 89g, proteins – 1g.